While people are familiar with DUI, many people do not realize that you can also receive the equivalent while on the water – a BUI. Just like a DUI, a BUI is a gross misdemeanor, which means the maximum penalty is 364 days in jail and a $5,000 fine. A conviction also can come with drug/alcohol evaluation and treatment and probation. Some of the differences include the fact that this will not suspend your driver’s license (car), it does not come with mandatory jail time, and there are not enhancements if you refuse or provide a high BAC. If you refused to provide a breath sample, it can cut both ways. As previously stated, you will not face enhanced punishments during the criminal trial due to the refusal, and they will not have that evidence to use against you (a plus). The problem is you will be issued an infraction for failing to blow, with an expensive fine. The default penalty for the refusal is $1,000, but the actual resulting fine is over $2,000! If you are facing a BUI charge or a refusal infraction, contact our Seattle, WA office today to discuss your options during a free consultation. 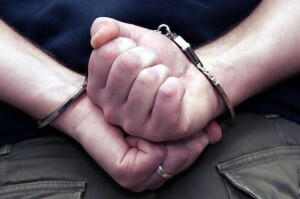 Our DUI lawyers have the experience and skill necessary to help you resolve your BUI charges.